Littelfuse, Inc. today introduced two additions to its expanding line of second-generation, 650V, AEC-Q101-qualified silicon carbide (SiC) Schottky Diodes. 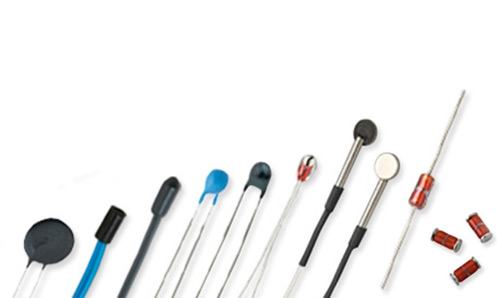 Littelfuse, Inc. (NASDAQ: LFUS), a global manufacturer of leading technologies in circuit protection, power control, and sensing, is exhibiting its broad portfolio of power semiconductor devices at this week’s Applied Power Electronics Conference & Exposition (APEC 2019) in Anaheim, California. Littelfuse, Inc. today introduced the first PxxxxS4xLRP Series SIDACtor® Protection Thyristor, a robust solution for protecting Composite Video Blanking Sync (CVBS) signal lines and ports from damaging overvoltage transients. Littelfuse, Inc. today introduced two second-generation series of 650V, AEC-Q101-qualified silicon carbide (SiC) Schottky Diodes. Littelfuse, Inc., a global manufacturer of leading technologies in circuit protection and power control, invites plant engineers, facility managers, and maintenance professionals to join our special arc-flash webinar on how to cost-effectively protect against catastrophic arc-flash events. Littelfuse, Inc. (NASDAQ: LFUS), a global manufacturer of leading technologies in circuit protection, power control and sensing, today reported financial results for the fourth quarter and full year ended December 29, 2018. Littelfuse, Inc. today introduced the first of a series of bidirectional TVS Diode Arrays (SPA® Diodes) designed to protect high-end consumer and wearable electronics from damaging ESD-generating events. Littelfuse, Inc. (NASDAQ: LFUS), a global manufacturer of leading technologies in circuit protection, power control and sensing, announced the appointment of Kristina A. Cerniglia, Senior Vice President and Chief Financial Officer of Hillenbrand, Inc. (NYSE: HI), to the company’s board of directors, effective today. Littelfuse, Inc., the global leader in circuit protection, introduced the new Heavy Duty Time Delay Bi-Stable Relay for the commercial vehicle industry. IXYS Integrated Circuits Division, now part of Littelfuse, Inc., today introduced the CPC1984Y, a 600V, Normally Open Power SIP Relay, rated for up to 1A DC/1Arms continuous load current, twice the load current of the company’s most popular power relay.